"One of the giants of our business." 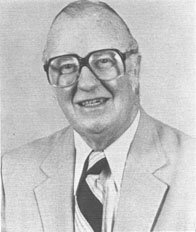 When he began broadcasting on Peoria's WMBD at the age of 18, the late Jack Brickhouse was the youngest sports announcer in the nation. Years later, Brickhouse is still setting broadcast standards. Brickhouse pioneered the first satellite telecast in 1962 when his play-by-play broadcast of a Cubs-Phillies game was beamed throughout Europe by Telstar's Communications Satellite. In addition to covering over 5,000 games for WGN Radio and Television in Chicago, he broadcasted four World Series, five All-Star Games, two NFL Championships, the Rose Bowl, the Orange Bowl, and the Sugar Bowl. Brickhouse's unique ability to entertain while informing earned him virtually every industry award including enshrinement in the media wing of baseball's Hall of Fame. Brickhouse passed away August 6, 1998, four months after undergoing surgery for a brain tumor.